The Department of Energy is investing $20 million in research and development projects to apply artificial intelligence to energy science and grid management. DOE said Wednesday. Eight projects have been identified that would receive a combined amount of almost $7 million to study on AI, big data and machine learning applications in grid resiliency. These projects are funded under DOE's Office of Electricity. Jim Garrettson, founder and CEO of Executive Mosaic, presented David Wajsgras, president of intelligence, information and services for Raytheon, with his fifth consecutive Wash100 Award on Wednesday. The Department of Energy intends to award $95 million in 86 grants across 74 firms under the Small Business Innovation Research and Small Business Technology Transfer programs. The grants cover phase II of the programs and would finance projects that passed technical feasibility qualifications during the first phase, DOE said Monday. Each awardee would receive a grant valued around $1 million covering a two-year research and development period for prototyping. The U.S. Navy and Marine Corps concluded the exercise ANTX West 2019 exploring how both services could integrate new information warfare technologies into operations in the field, USNI News reported Friday. The 10-day event at the Navy’s offshore San Clemente Island ranges and in San Diego laboratories and facilities involved nearly 60 defense contractors, tech companies, military laboratories and members of the academia. NASA’s Space Technology Mission Directorate will fund 18 early-stage studies on space technologies for the NASA Innovative Advanced Concepts program, the agency said Wednesday. The selected NIAC studies cover a range of topics including low-cost small satellites, flexible telescopes, heat-withstanding materials and capabilities designed for mining ice in the Moon's south pole. 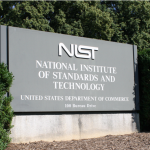 The Trump Administration’s 2020 budget request will potentially cut around $300M in research and development funds for the National Institute of Standards and Technology, Fedscoop reported Tuesday. The Department of Energy is investing a maximum of $59M to support research and development efforts on mobile energy technologies for use in vehicles. The projects encompass multiple types of energy applications including electric drive systems, batteries, mobility systems, power trains, engines and fuels, the department said Wednesday. The Department of Energy intends to award $40M in funds to research concepts supporting development of new programs and algorithms for quantum computers. The Department of Energy seeks to provide $28.1M in funds to support the research and development of offshore, land-based, distributed and tall wind energy technologies in the U.S. The initiative seeks to reduce costs associated with usage of utility-scale wind energy, the department said Thursday.